Sunday morning Ruth and I got up again at dawn to race, this time at Larimer County's Devil's Backbone Open Space west of Loveland. This 10+ kilometer trail run, organized for the last 8 years by Paul Stoyko, reminded me very much of the ultimate (frisbee) tournaments I played in the olden days: low key, low tech, high enthusiasm. It was an out and back route (map below), taking the left hand side of the Wild, Hunter, and Laughing Horse loops along the way. The final loop (at the top of the hills in the photo above) was pretty tough: 500 feet above the start and lots of ups and downs over fractured slickrock ledges. I finished 24th out of 96 with a time of 1:05:10. Ruth finished a few minutes after me in 31st place. 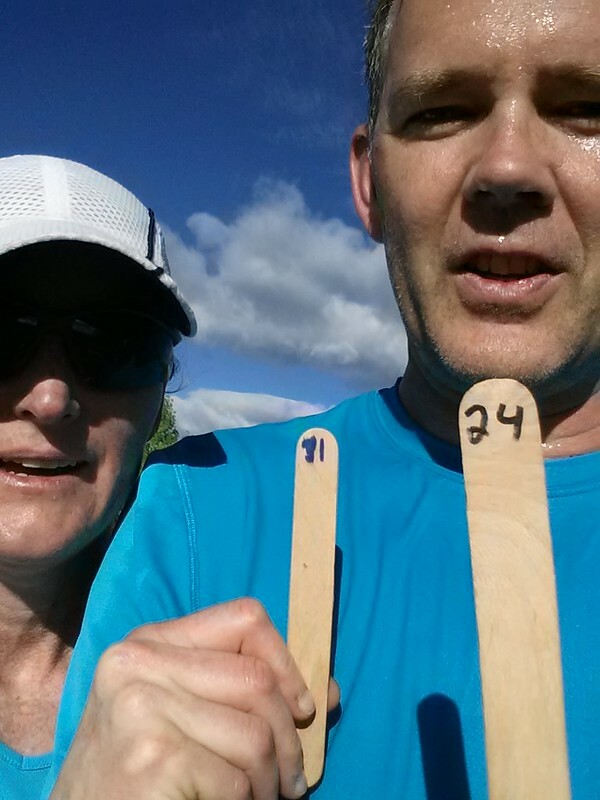 Here we are holding the popsicle sticks we grabbed at the finish line. Old school! I've driven by Devil's Backbone many times but had never been to the trailhead or up the trail before. 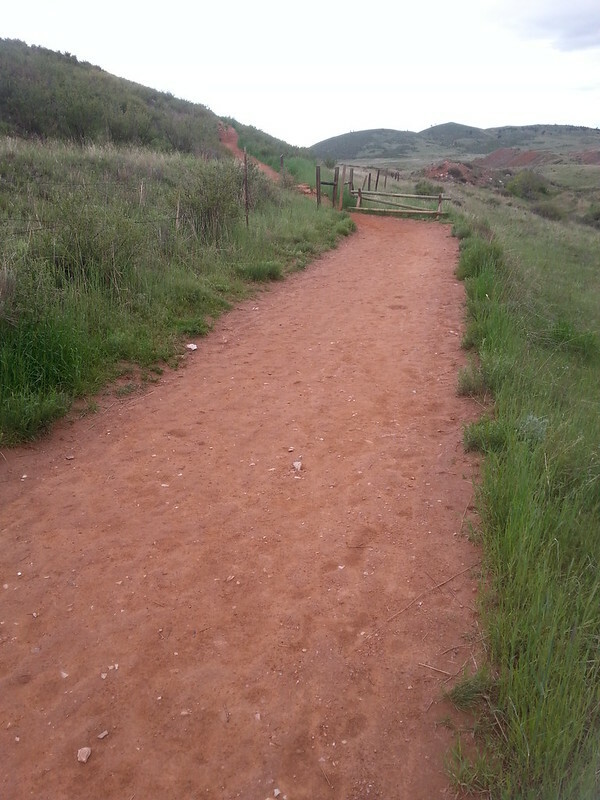 It's beautiful and wild(ish) and the trail network extends all the way to Horsetooth Mountain Park. 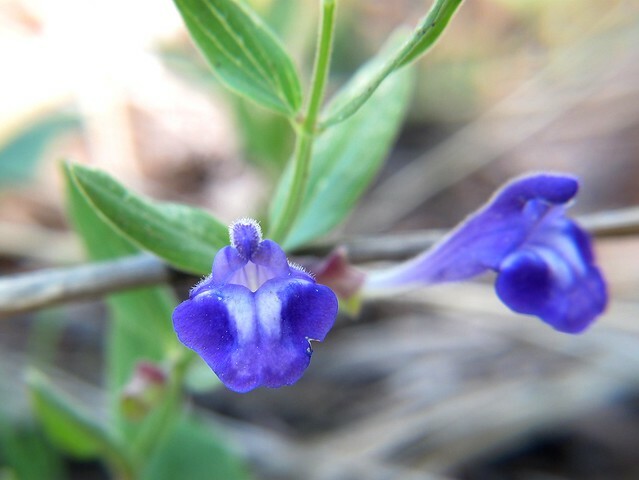 Foothill wildflowers are starting to kick off right now and there were blue Penstemon (P. virens) and Britton's Skullcap all along the trail. Thanks for putting this race together, Paul. We'll be back.